This morning, the virtual water cooler for a bunch of hip Australian copywriters was buzzing. Yet another one of our buddies had fallen foul of plagiarism. A newbie freelance copywriter had sliced off big chunks of another freelance copywriter’s website. They’d even gone so far as borrowing some of the artistic design. Now, I love the concept of stealing like an artist. I am definitely not a fan of copying like a fraud. And I want to say to any other freelancer’s out there or indeed any business owners who are eyeing off the competition’s website: stop. It never pays to copy your competitor’s website or marketing materials. Here’s why. I’m part of a few virtual freelance and business groups. Many of them are made up of Australian copywriters. We talk about everything from job swapping to situations of sheer angst like this. Professionals often look for their counsel and their solace in the arms of a peer. Sometimes we talk about other professionals as part of that process. In fact, some of the people I speak to most about being a freelance copywriter are other freelance copywriters. We’re not at odds with each other. We’re not on the opposite sides of the trenches. We share a bond through knowing the agony and ecstasy of making a crust as a freelance writer. So when someone decides to re-write another copywriter’s website, you can bet we all hear about it. It immediately puts you in hostile territory- all creative types fear theft of their work. So thieves become the enemy pretty quickly. Have you heard the phrase “original and the best”? Customers like original ideas. We equate the first person to do something as a trailblazer. That’s why we have a consumer segment called early adopters who pride themselves on being on the cutting edge. It’s also what we trust. If you can be the company that has the inventor X-factor, it can take a lot of work to steal that position. Humans want the front runner. 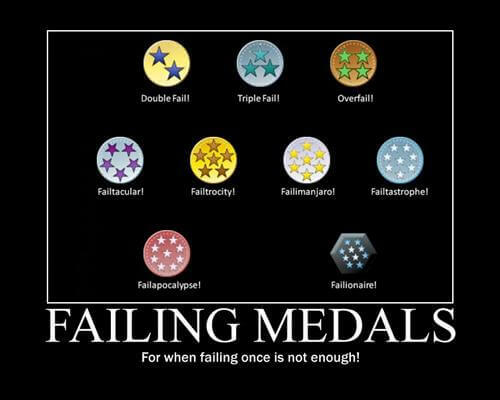 That’s why we remember the winners of Australian Idol and forget most of the rest. It’s why we advertise “the number 1 show” and believe that claim, even if the claim doesn’t have any qualification to it. Playing second fiddle with someone else’s website copy weakens, not strengthens, your position. You see, when your potential clients are looking for your services, they will have a bunch of websites open at the same time. And they’ll read what you have written and then flick to the next tab to check out the next guy. The original will be able to carry that tone of voice through their website, their blog and other marketing materials. The person knocking off the copy will be lucky to get away with the website sounding consistent. You’ll look like the cheap knock off. And you can bet dollars to doughnuts, no one’s going to choose the person who knocks off other people’s work to write theirs. Most freelancers struggle with describing what they do. Most small businesses have exactly the same issue. We find it hard to shine a light on ourselves. I even spoke about how hard it is writing your own copy previously because I know that it’s true. But if you don’t go through the process of working out what your business identity is, you’re boned. If you don’t know where your business sits in the scheme of things, what hope has your customer got? If you’ve borrowed someone else’s personality or website copy, you aren’t selling you. You’re selling someone else. Humans read subtle things from each other called micro-expressions. They’re made up of facial movements, eye contact, gestures, phrases we say and the things we write. They come together to form a unique signature. That signature informs us about a person. You confuse the issue when you start making a hot pot out of someone else’s micro-expressions. They’ll trust you and then get disappointed when you don’t match the information they’ve gathered over time. Or they’ll pick up on a sense that something about your micro-expressions “doesn’t add up”. Pretending to be someone else to win business either gets the wrong business or doesn’t get you any. Why would any intelligent freelancer want to set themselves up for a fall like that? There’s drawing inspiration and then there’s being clueless and lazy. You can kind of forgive an ice cream parlour for trying to sound like the popular ice cream parlour 3 suburbs over. They sell ice cream, so perhaps marketing and copywriting isn’t their strong suit. But a copywriter who copies the copy of another copywriter’s website is asking for a big smack in the chops. As writers, our job is to translate our client’s content marketing in an original way. We’re meant to grab hold of the story with both horns and take it to new word-nerd heights. But if you can’t muddle through with copy, what hope have you got in writing someone else’s? If you can’t find a way to describe yourself without leaning on someone so heavily it does look like you’ve photocopied their website, don’t be a copywriter. You’ll only send yourself crazy trying to be something you are not. Or piss off other freelance copywriters and cut off your job referral network. Or both. But most importantly, it’s not fair on your customers. They rely on your ability to create original content, not re-write the blood, sweat and tears of someone else. If you need help as a copywriter to work out your identity, book one a marketing coach session. If you need ongoing help to learn the art of copywriting, join the Copywriting School. 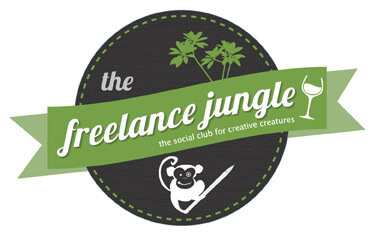 Or if you want to share your own “I can’t believe they plagiarised that!” story, join the Freelance Jungle online or on Meetup. But whatever you do, don’t copy someone else’s website. OK? 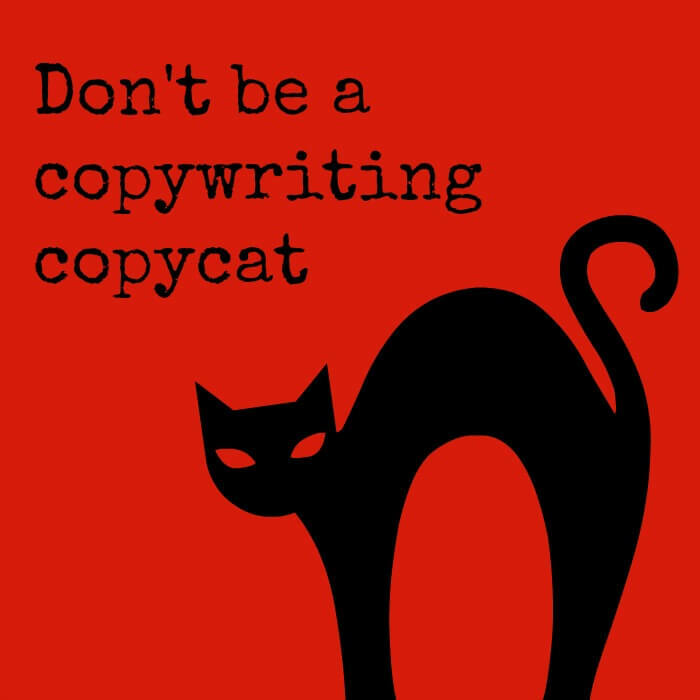 I know copying is suppose to be a compliment and a sign that you’re doing something right, but it’s especially worrisome for copywriters and doesn’t instil confidence in potential clients if the copy writer lacks the imagination to write their own copy! Love, love, love it…especially since we’ve all shared or heard the horror stories. Thanks on behalf of everyone who’s ever had content nicked! Brilliant Bek – ‘ear ‘ear! Great post at Bek, it should be emailed to all new copywriters. As a victim of repeated copycatting I wish the copy cats would realise it’s a SMALL industry and that people will find them and think badly of them…. Online and over exposed: are we inviting the wolf to dinner?